We offer three nurseries at CrossBridge: infants (birth-16 months or steady walkers), toddler 1 (16 months-2 years olds), and toddler 2 (2 year olds). 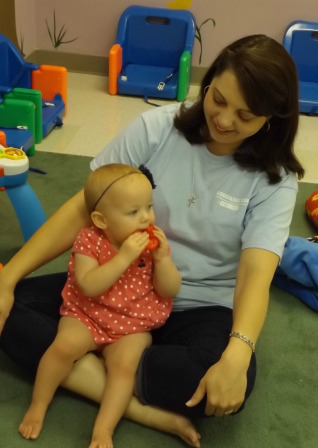 All nurseries have a Bible class at 9:30am and nursery care during the 10:30am worship service. One and two year olds have a shared class time at 6:30pm on Wednesday nights and nursery is provided for infants.